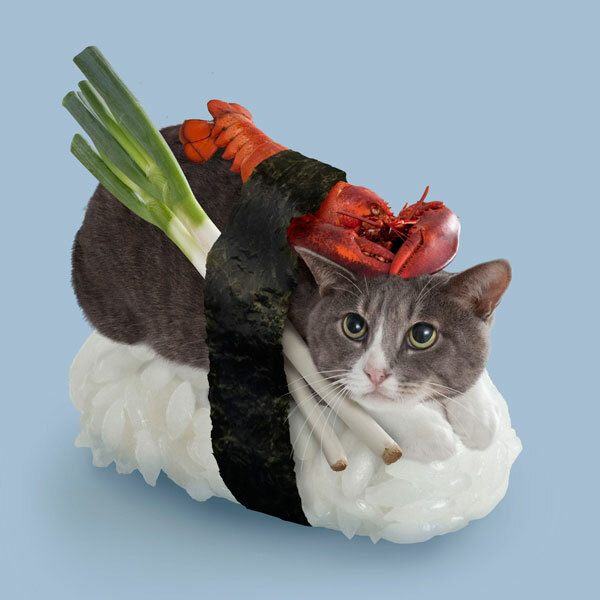 So the rumors turned out to be true: the Japanese not only eat fish but they also appreciate eating the harmless cats. 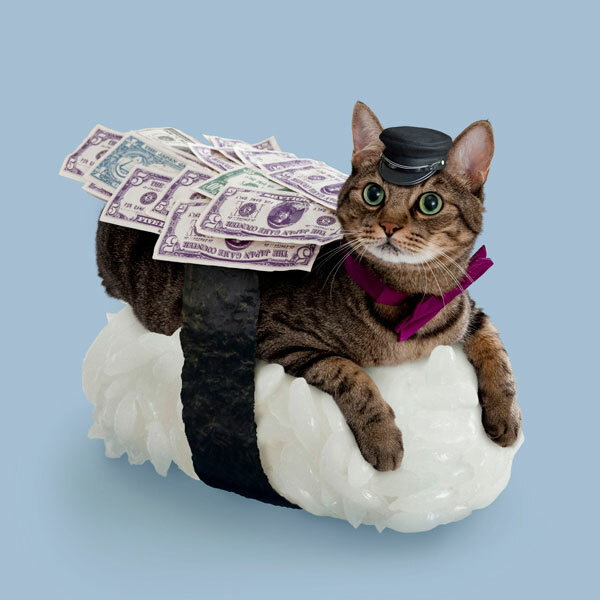 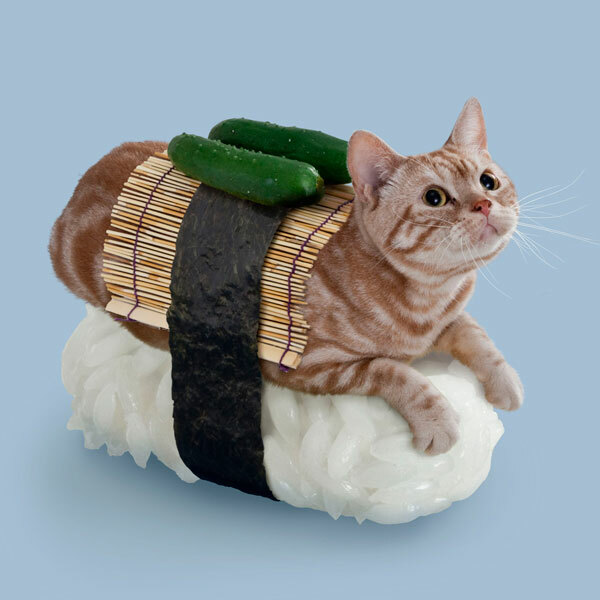 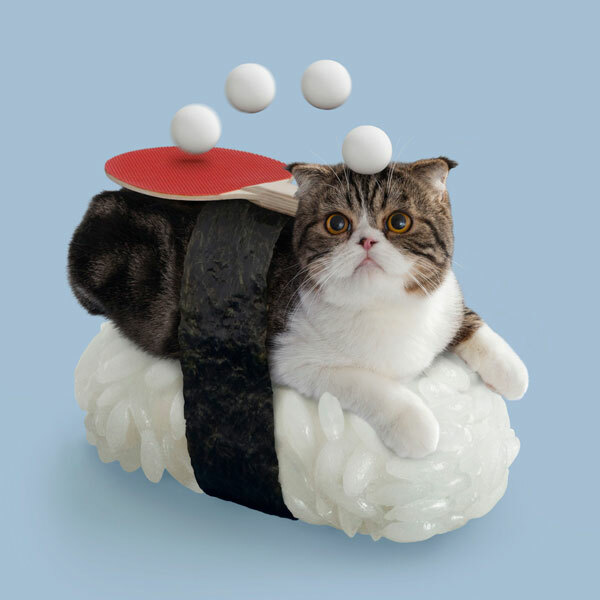 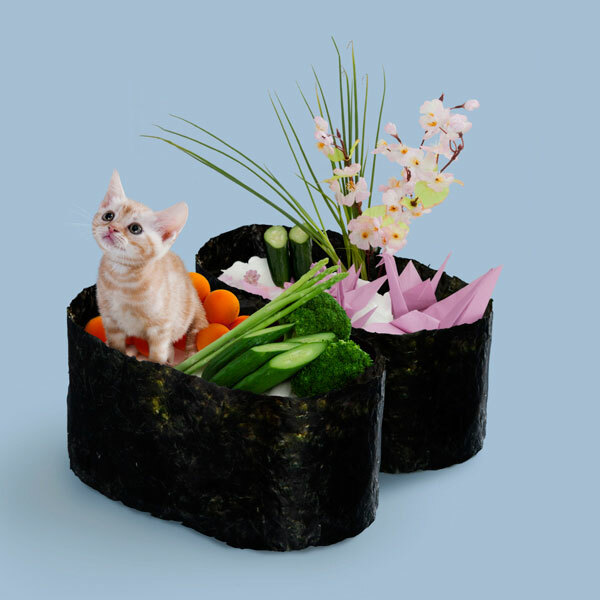 Obviously, this is publicity campaign of a company that has created a series of posters and stickers with the image of cats transformed into sushi! 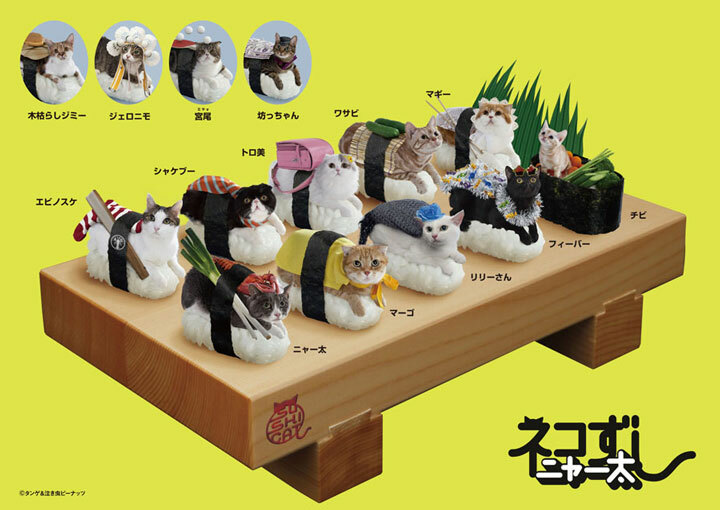 The Japanese are always known have crazy ideas, this is demonstrated by this advertisements that looks shocking. 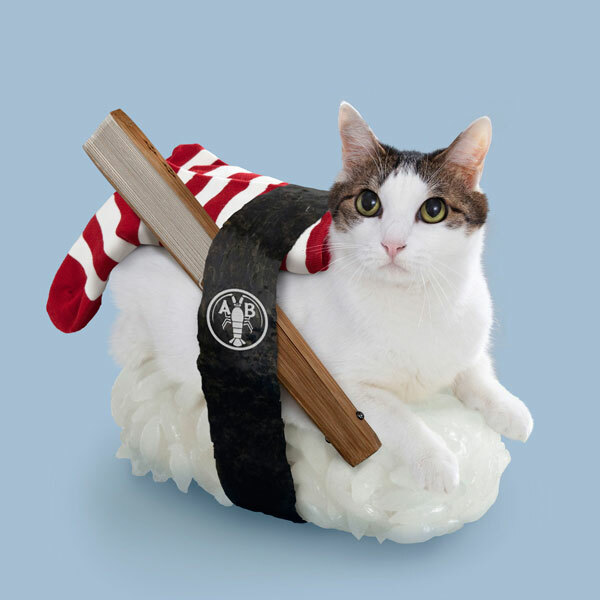 The Japanese agency, Tange & Nakimushi Peanuts, has created a series of posters, stickers and postcards on which cute cats dressed as sushi. 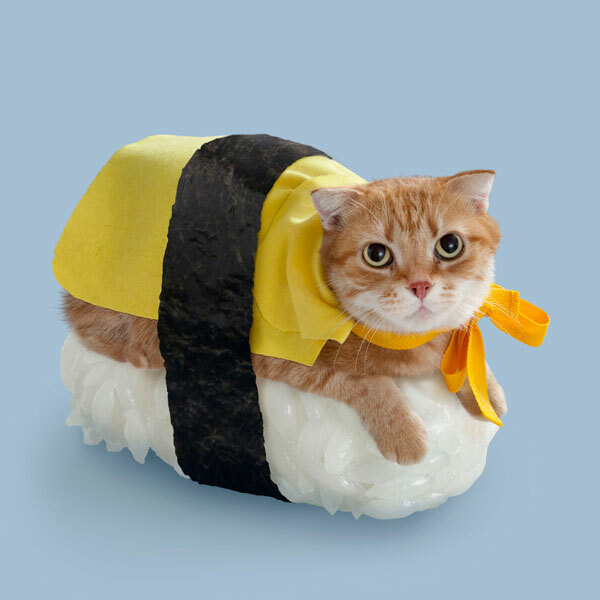 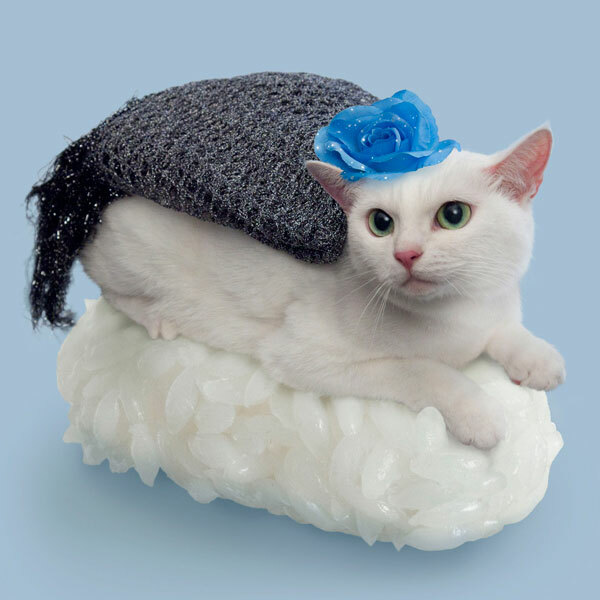 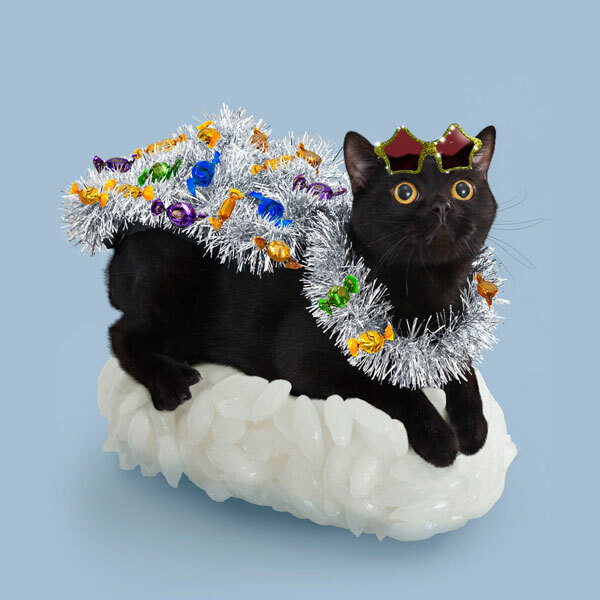 It is in fact photographs of cats dressed up in costumes representing the different foods(sushi tuna, omelette, salmon, etc..). 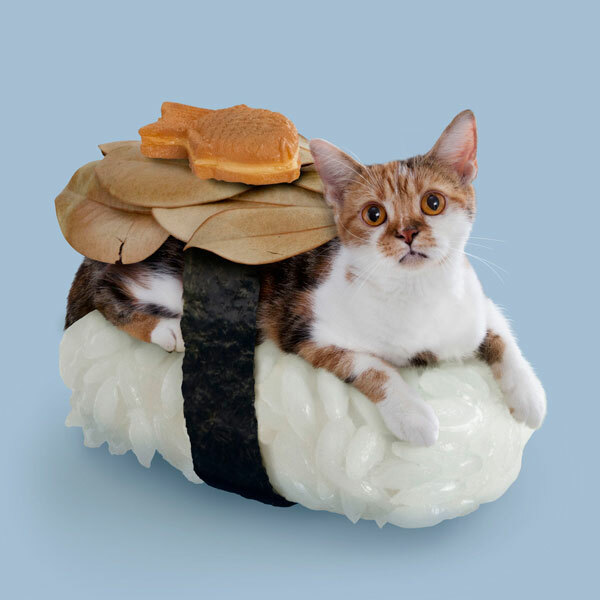 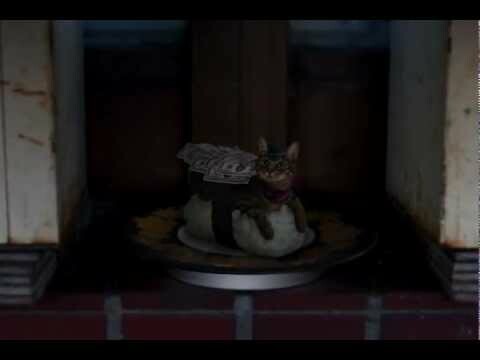 But that is not all, the agency has pushed the idea even further by making a short video explaining the history of Neko-sushi (translated literally as cat sushi). 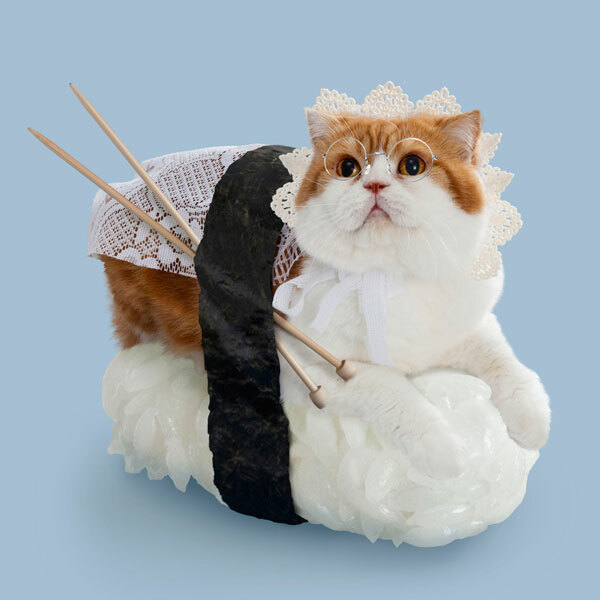 Discover the photographs of this crazy publicity campaign. 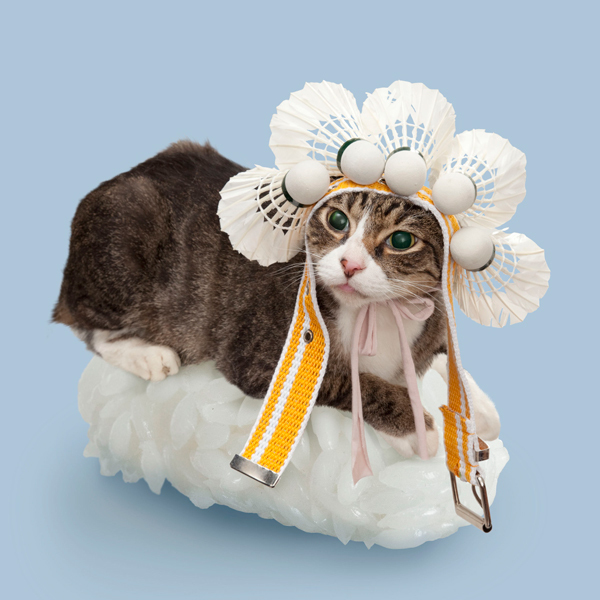 We love both the cats as well as the unusual Japanese humor. 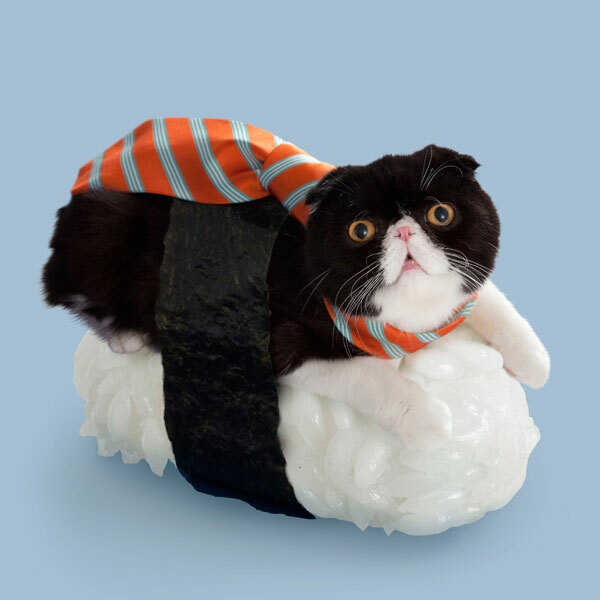 However, we don’t really know if this is just a publicity campaign or a reality. 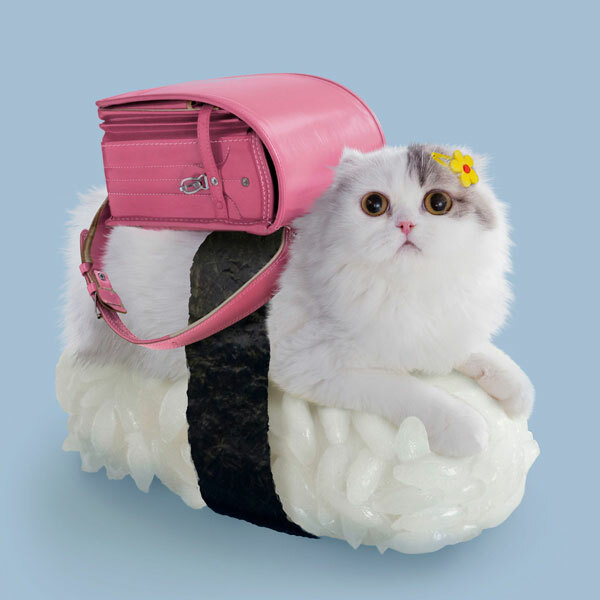 What is your opinion about this publicity campaign?